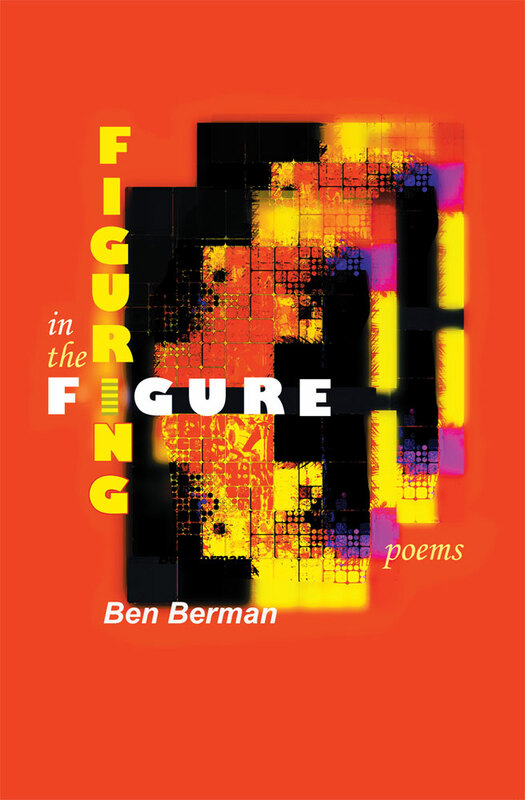 “Because design, alone, doesn’t hold weight,/” Ben Berman writes in his remarkable second collection of poems, “we need concrete material—the image/ of a bridge over the sound of water.” In Figuring in the Figure, Berman explores the nature of form in its deepest most complex sense. His luminous details evoke a world of mutable forms and shapes that suggest the fragility of our lives. The book culminates with a moving, realistic yet lyrical sequence of poems about the birth of his daughter. This is a quietly beautiful book that deserves attention and recognition. Ben Berman’s nimble terza rima is the perfect vehicle for the poems of Figuring in the Figure. Both expansive and structured, the interwoven stanzas allow him to form and reform probing questions of identity without ever forsaking a deep musicality. We watch the speaker ponder mouse droppings, hit the wall in a marathon, describe the great molasses flood of 1919, diaper a doll in a birthing class, then try to manage his “tiny fascist” of a toddler who wouldn’t stop until “every bookshelf toppled/ like a/ failed coup.” His observations are enriched with various kinds of humor—aphorisms, riddles, word plays, and puns. This book is wise and wonderful. 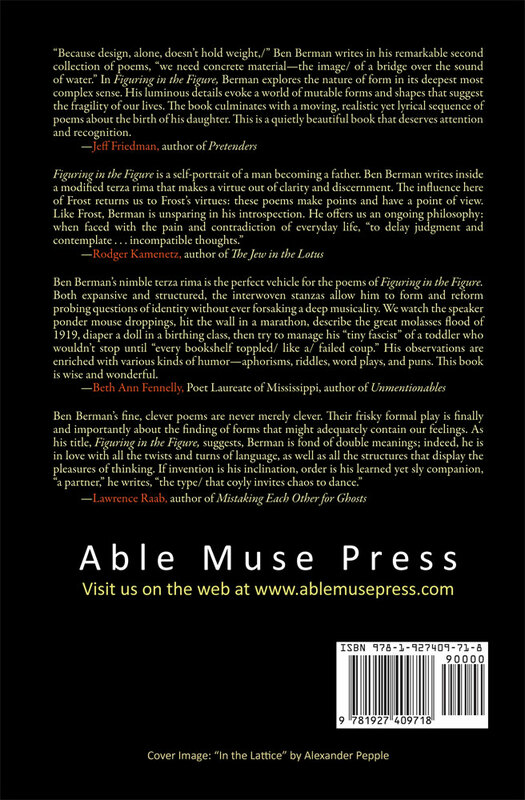 Ben Berman’s first book, Strange Borderlands (Able Muse Press, 2013), won the Peace Corps Award for Best Book of Poetry and was a finalist for the Massachusetts Book Awards. He has received awards from the New England Poetry Club and fellowships from the Massachusetts Cultural Council and Somerville Arts Council. He is the poetry editor at Solstice Literary Magazine and teaches in the Boston area, where he lives with his wife and daughters.